So far in this Ecommerce Tax Handbook we’ve covered sales tax, Amazon FBA, and tax law deadlines. Now we’re on to the fun stuff: deductions. Taxes are business as usual, but so are a lot of other things. Small business in the U.S. are fortunate to have plenty of possible deductions to save money where they can. Note that in order to use any of these deductions, you will need to prove the fees and cost. This means you need to keep receipts – all of them, and in an organized fashion. Also, always consult with a tax advisor on when to use these and if you can. We’ve linked to several sites documenting when each deductible may apply to you. Not all of them will –– and some of the rules for being able to use the deduction can get quite granular. Always double check with a tax expert to make sure you are neither overpaying or underpaying. Tips. Just because you didn’t get a receipt doesn’t mean you can’t deduct the cost, but you should document it just the same. Questions, concerns or any other deductions we missed? Leave them in the comments below. 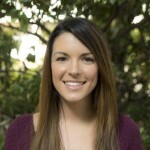 Melissa Hollis is the marketing content manager and educator at inDinero, an accounting and tax software+service for small to medium size businesses. She is a lover of all things entrepreneurial and enjoys waking up every day with the chance to enable the dreams of aspiring business owners through her writing.